After the events of last year, Jade and Garret are anxious to get a fresh start in a new town and a new college, far away from the people who tried to tear them apart. But soon after moving, their relationship problems begin. Jade finds out Garret hasn’t been completely honest with her. And knowing he’s been keeping secrets drives her back to old habits. Garret begins to worry when he sees Jade reverting back to the girl he met last year and yet he continues to hide things from her, thinking it’s for the best. Jade and Garret thought they’d be safe in a small college town but they start to question their safety when a crime occurs in their neighborhood. And the more they investigate it, the more suspicious it becomes. Was it just a random crime or were they the intended victims? It’s a turbulent start to their new life together. But this is just the beginning. Plans are in the works behind the scenes and Jade and Garret have no idea what’s in store for them. Note to Readers - BIG Change for Jade #6! In this latest installment of The Jade Series, readers will finally hear from Garret! 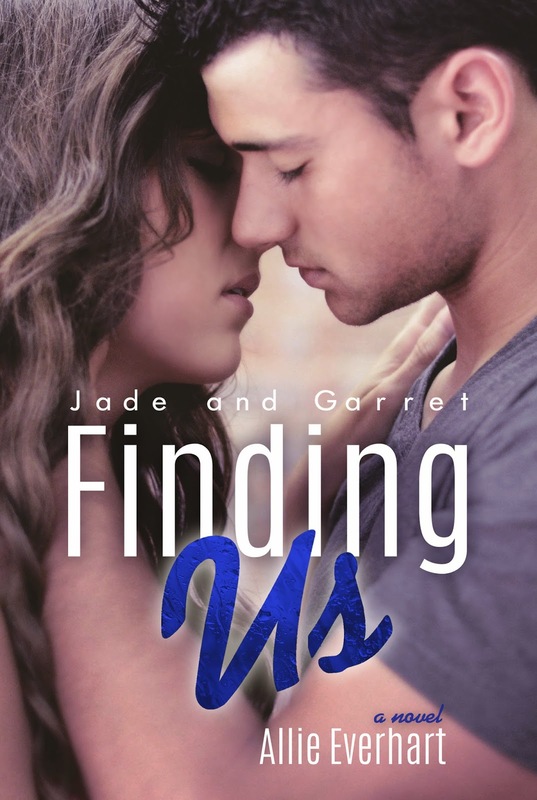 Finding Us is written from both Jade’s point of view and Garret’s point of view. The Jade Series is a New Adult Romance that follows the relationship of Jade and Garret in their first year of college. 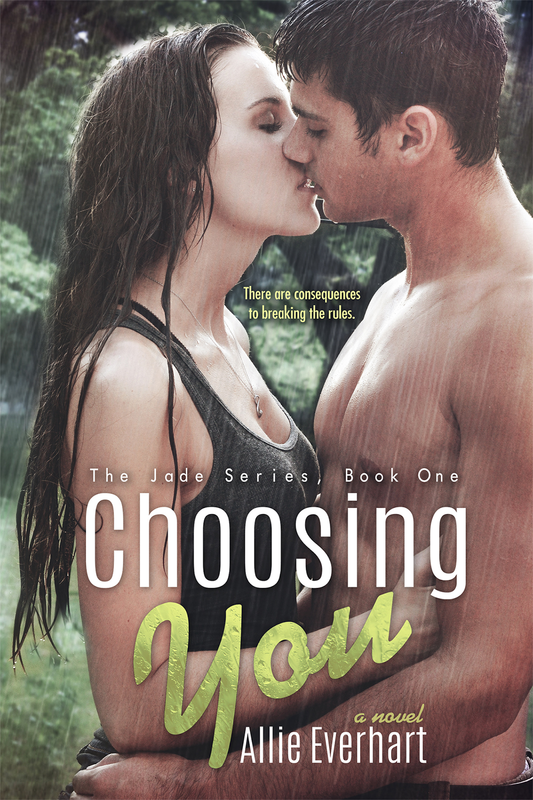 In Choosing You, (Jade 1), Jade and Garret meet on Jade’s first night at Moorhurst College and despite their strong attraction to each other, they’re not allowed to date because of the strict rules that control Garret’s life. 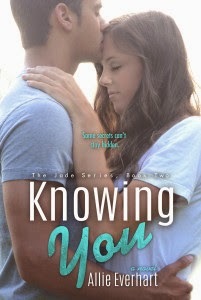 In Knowing You, (Jade 2), Garret breaks the family rules and begins dating Jade. 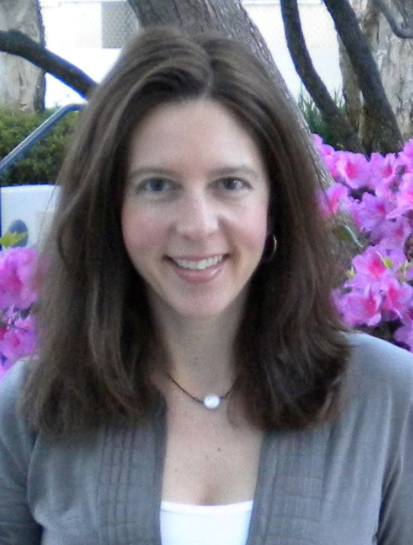 Their relationship grows deeper but issues from Jade’s past complicate matters. 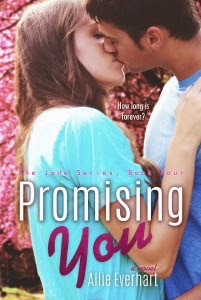 In Loving You (Jade 3) shows Jade and Garret growing closer as a couple but also hints at the trouble that lies ahead. In Promising You (Jade 4), in which a new challenge emerges for Garret that could interfere with the future he wants with Jade. Originally, book 4 was the end of the series, but fans wanted more of Jade and Garret, so Allie recently published Forever You, an all-new, full-length follow-up book to The Jade Series.